The delicately flavored mushroom, celery, and bok choy filling is well-suited to the steam-cooking method, which produces tender dumplings known as cheng jiao in Mandarin. Soak the dried mushrooms in warm water for 15 minutes; drain. Cut off and discard the stems; finely chop the mushroom caps. In a wok or large skillet, heat 2 Tbs. 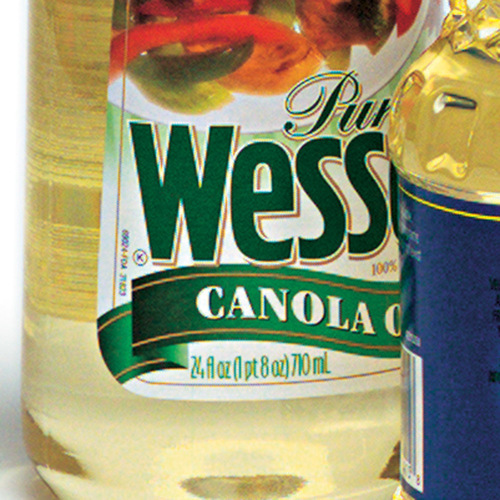 of the canola oil over medium-high heat. Add the dried and fresh mushrooms; stir-fry for about 2 minutes. Add the soy sauce and sesame oil; stir briefly. Remove the mushrooms and set aside. Pour the remaining oil into the wok. Add the celery, cabbage, and ginger; stir-fry for about 3 minutes. Season with salt and pepper. Stir in the cooked mushrooms. Transfer the mixture to a colander to drain before wrapping. Arrange the dumplings, pleated side up and not touching, on a bamboo steamer lined with cheesecloth or wilted cabbage leaves. Fill a wok or a large pot with 2 inches of water and bring the water to a boil. Cover the steamer and set it on the wok. Steam over high heat for 15 minutes. 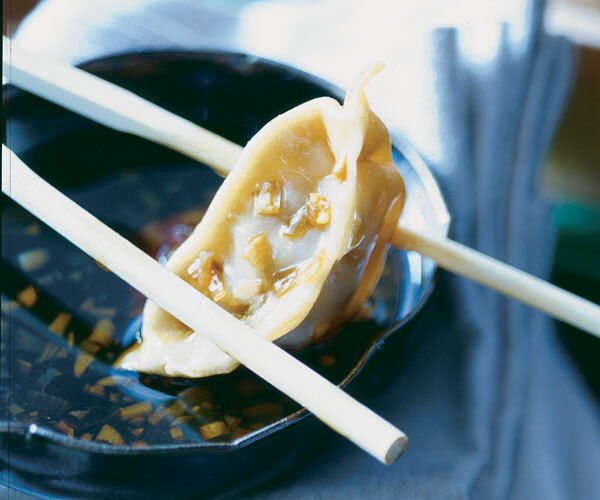 Serve the dumplings in the bamboo steamer set on a large plate to catch any water that might drip. If you don’t have a bamboo steamer, you can steam the dumplings on a greased, heatproof plate. Set the plate over a steam rack in the wok or a large pot. Be sure there’s enough space around the edge of the plate to allow the steam to rise and circulate freely.